We know a few things about Bailey Caravans; our new selection only consists of new Bailey models because we believe they are the best and we are experts at what we do. We order in volume to ensure that we can supply even those hard to find models and as Dorset's largest caravan retailer we are never short of a great selection with our long serving staff are here to guide you every step of the way. 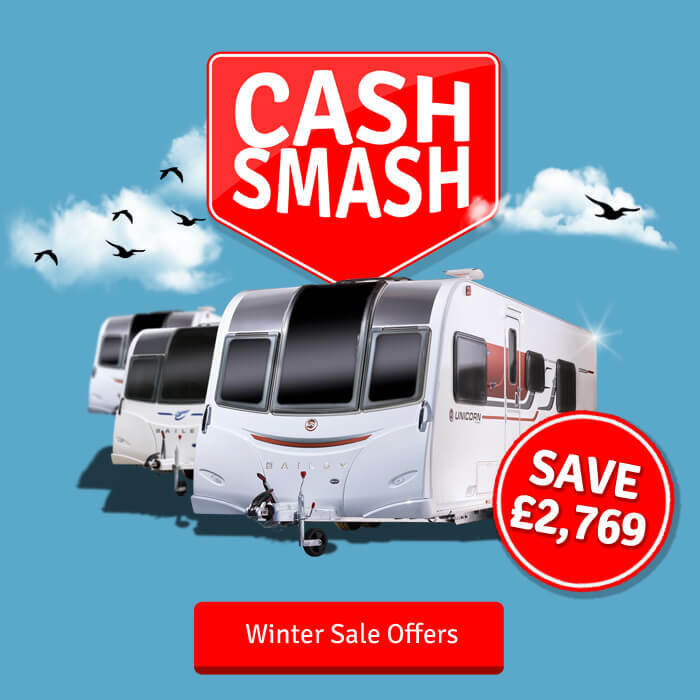 Choosing your perfect caravan retailer can almost as hard as choosing your caravan itself; you ideally want someone that you can call if you have a question, pop in and have a chat and not get bogged down in on hold messages and corporate spiel! We may be the UK's largest Bailey retailer but we insist on staying the same local friendly business we have always been. Standard on all Bailey models; the Alu-Tech body shell features a composite plastic internal skeleton, doing away with the old timber frames. The interlocking framework is bolted together from the inside making it considerably stronger and more durable and the thicker body panels are tested to -15C to ensure you stay warm in winter and cool in summer. The Alu-Tech is a huge technological advance and is unique to Bailey. Founded in 1948, Bailey Caravans have over 70 years experience in the caravan industry growing from a small artisan caravan builder to the UK's number one caravan brand. Bailey have invested over £10m to create the UK's first fully mechanised production line which facilitates the automatic movement of caravans and motorhomes throughout their Bristol factory. Undertaking technical design and testing alongside Bath University has allowed Bailey to make huge technological advancements in the fundamental elements of caravan design creating the Alu-Tech body shell system. 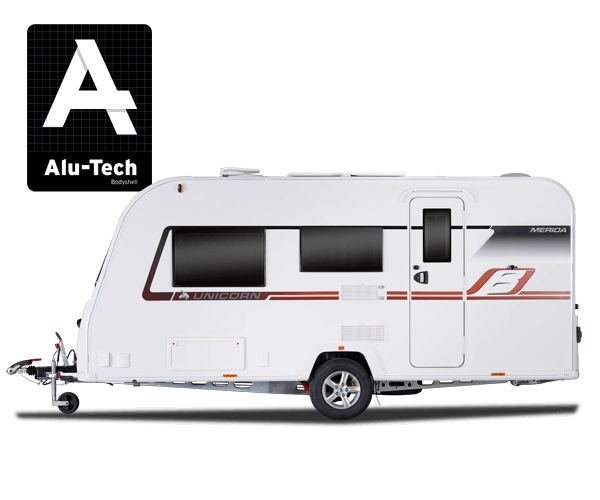 The Alu-tech body shell is made from an interlocking aluminium frame with 0% wood in the body shell reducing the possibilities of damp ingress in your new caravan. The thousands of man hours spent on research and development have allowed Bailey to ensure their new build methods combine strength, rigidity and thermo efficiency whilst maintaining a light weight for easy towing. As an environmentally aware manufacturer, Bailey also pride themselves on their green credentials; over 75% of a Bailey caravan is designed to be recyclable, the composite plastic extrusions are made from recycled materials and the timber used in production is sourced from sustainable forests. With the majority of the workforce living within 10 minutes of the factory, Bailey also aim to continually reduce the environmental impact of their Bristol factory whilst contributing positively to the local area. The product portfolio of Bailey is a fantastic mix of exciting ranges which include a the top of the range Unicorn series 4 that combines comprehensive features and high level luxury, the mid range Bailey Pegasus Grande with its lightweight body and excellent specification and the entry level lightweight Phoenix which is the perfect starter caravan or lightweight towing vehicle - they continue to set the standard for the rest of the market to follow. As the Premier UK retailer we pride ourselves on knowing the product inside out and will be able to assist you in making the correct decision for you new caravan. Our team have many years of experience with the majority of UK caravan manufacturers and the fact we now focus solely on Bailey is testament to the quality and innovations that we feel make Bailey unique in this market. Over the years we have built a reputation that we feel proud of - providing good quality service to our customers all over the UK at a great price and with a highly loyal customer base and feedback to match, we hope you will trust us with your purchase. 65 Years after they first started, they still today lead the industry. With some of the most celebrated model ranges ever produced and a wealth of experience that is unrivalled, there is no better manufacturer to trust and no dealership better equipped to facilitate your purchase. Get in touch with us today or have a browse around - see what takes your fancy.